The popularity of mobile and online banking is forcing financial institutions to rethink and modernize their marketing and advertising models. Consequently, many financial institutions are turning to digital signage displays and other retail branch technology as viable communication and marketing solutions. 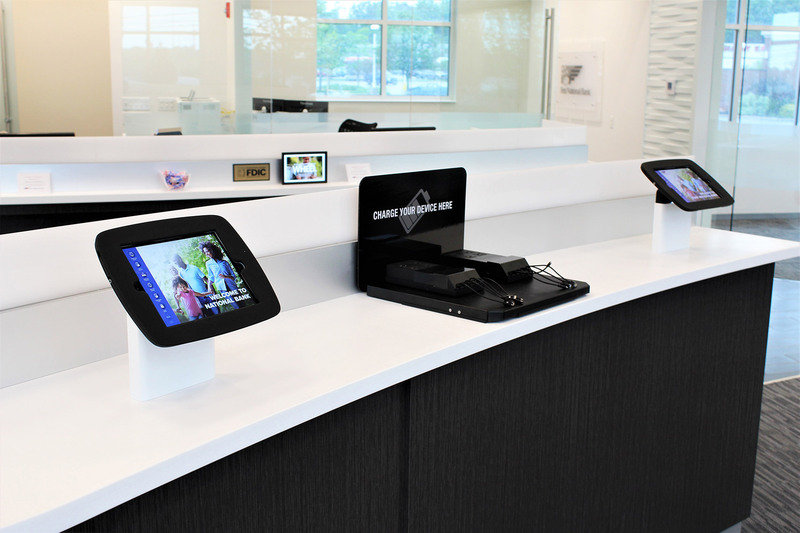 PWCampbell, a leader in branch reimagination, provides customized turnkey digital signage and technology solutions that can match the individual needs of financial institutions of any size. BrandVisionHD combines PWCampbell’s Branding and Merchandising creative services with your existing marketing materials, creating rich, viewer friendly, interactive media displays in your branch or retail location.